Quality Air Heating and Air Conditioning > Articles > Indoor Air Quality > Columbus HVAC Q/A: What Type of Air Cleaner Is Best for People with Pets? Columbus HVAC Q/A: What Type of Air Cleaner Is Best for People with Pets? Lots of people have pets, and they are a great addition to your family. However, pet ownership has one very obvious drawback: dander. The fur, dry skin cells and other debris that pets carry around flakes off their bodies and onto your furniture and rugs. The also means they inevitably wind up in your air, recirculated through your whole house via your Columbus HVAC system. 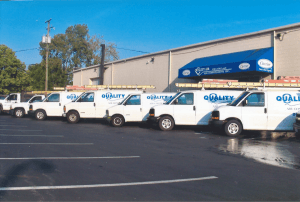 For more tips on how to improve the air quality or HVAC system in your Columbus home, give Quality Air Heating and Air Conditioning a call today!